I had the privilege of being raised by my grandparents who loved to spend time exploring Michigan's great outdoors. As a child I spent summers either in our cabin by the river or traveling extensively throughout Michigan's Upper Peninsula. Camping and exploring the rugged beauty of the north year after year, I developed a deep love and passion for the wilderness and the animals that call this place home. This deep longing to explore northern areas lead me on a journey paddling a canoe to the sub-arctic region of James Bay, Ontario, following the same route the voyagers did as they brought furs to the Hudson Bay Trading Post. From there my journeys have taken me to the wildernesses of Alaska and the Yukon Territory. I've stood at the shores of the Arctic Ocean watching whales surfacing at one o'clock in the morning. Standing ten thousand feet high on a glacier in the Denali Mountain range I have been awestruck at the summit of Mount McKinley, just out of reach. 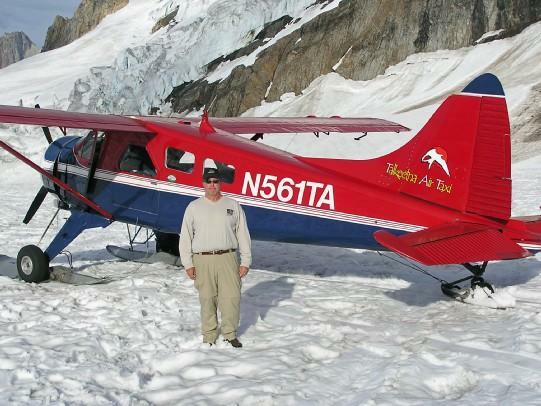 I've paddled a sea kayak among giant icebergs standing two stories high in Prince William Sound, Alaska, and hired bush pilots to fly me to salmon streams where bear gather. River guides and float planes enable me to make it a priority to get as close as I respectfully can to the animals and rugged landscape. I believe that is what makes my images so unique! It is during these journeys, as well as the journeys I experienced when I was a child, that I found oneness with the north and with the Creator who formed such magnificent landscape with His own hands. This has influenced my work as a nature & wildlife photographer. My training has not been through formal teaching or institutions. I have been trained by wildlife biologists how to respectfully fit in with the wild creatures I am photographing. I have had unusual opportunities to explore extraordinary places. It is in these places and with these creatures that I realize that God has given me a gift for capturing His beauty of creation through the lens. It is my desire that my experiences will inspire everyone to explore and appreciate the landscape and habitat around them and come to know them as the beauty of His handiwork.